Your quote includes our Door-To-Door shipping service. We do not charge extra “Residential” fees to deliver the motorcycle to your home. Additionally, prices are not subject to additional fuel surcharges, lift gate fees or other hidden costs. We include up to $7000 of valuation coverage for no additional charge with ZERO deductible. Finally, you can purchase more coverage for $7.00 per $1000 of valuation. Motorcycles are loaded by the drivers using special equipment and procedures. You don’t even need to drain the fuel tank! 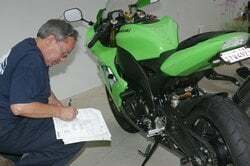 Watch our videos for examples of techniques we may use with your motorcycle. Our equipment provides a Perimeter of Protection® and specially designed soft straps are used to protect fragile parts. All transports are fully enclosed, use air-ride suspension, and are specially equipped with extra large motorcycle-friendly liftgates. $7000 valuation coverage is included and additional coverage is available for $7.00 per $1000 valuation. No deductible. Subject to Motorcycle Shippers’ Contract. Transport time averages 15 business days. In a Hurry? Call us for VIP Express options, (800) 730-3151. The drivers will call one business day before arrival. The condition of the motorcycle will be noted at pick up for your protection. Addresses must be tractor-trailer accessible. Someone must be available to sign for the shipment. Terminals are available to help make your move more convenient and affordable. We offer multiple bike discounts. Call (800) 730-3151 for more information. 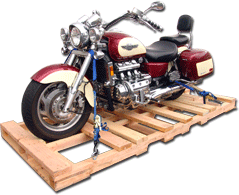 Since 1994 Motorcycle Shippers has been a trusted name in shipping. Riders rely on us to transport their motorcycles because we keep the cost of shipping low and our level of service high. 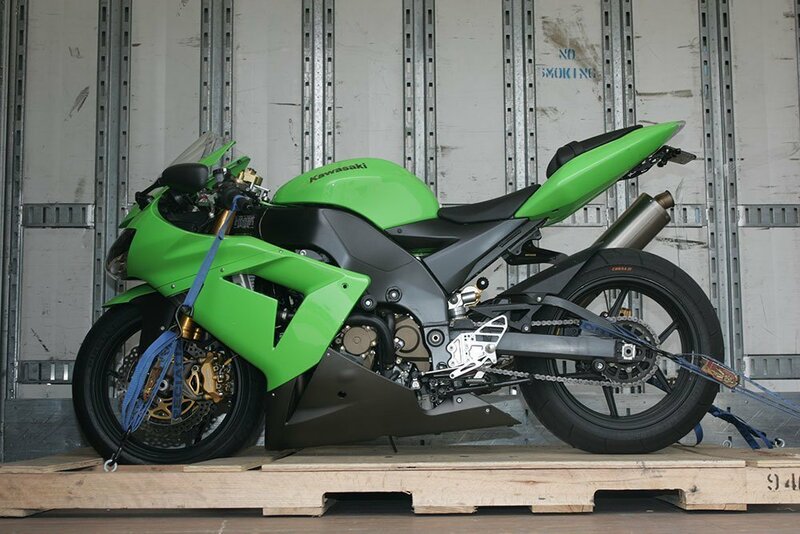 As the original Motorcycle Shippers you can rely on us to serve you better since we designed many of the motorcycle-specific moving systems in place todya. Join the ranks of over 90,000 bikers who have shipped with us. Get motorcycle shipping prices above, or call (800) 730-3151 for personal service.